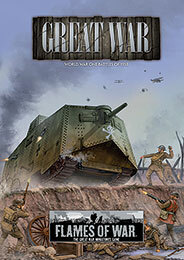 Last year Battlefront marked the centenary of the start of World War One by releasing a set of rules for British and German forces, with issue #324 of Wargames Illustrated. Now those rules have been expanded to a 72-page book, including the Americans and French. • Extra durable deck box capable of holding 100+ sleeved cards. • Exterior color is black with different colored interiors. • Nest+ comes with removable dice tray.